The laser and power supply that I purchased from Ebay arrived in just a few days. It was packed extremely well. Looks intact from what I can tell. Hopefully I can test it soon! Night riding requires powerful lighting, and I’ve been lusting over the inexpensive but powerful lights made by MagicShine. Until now I’ve been using a Princton Tec Apex strapped to my helmet. This works pretty well, and is easy to attach by passing the straps through the visor. I want a good handlebar light as the main light, and continue to use the Apex as the helmet light. Sticking our grubby hands into the bowl of trail mix has probably increased our immunity, but I finally had a chance to make something better with a scoop. Unsatisfied with the dispenser offerings at the store, I resorted to making my own, as usual. 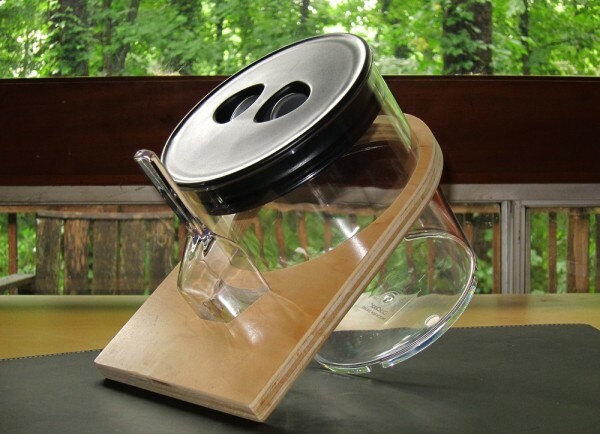 An airtight container is key to keeping the trail mix fresh. I was tempted by the hopper type dispensers that had a twist knob which dispensed measured amounts every time the knob was turned. 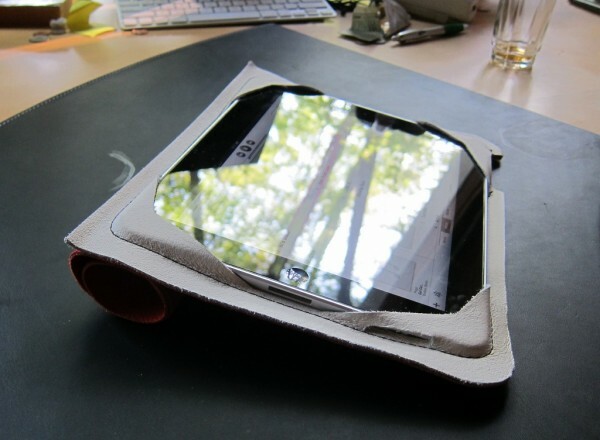 However, the inexpensive ones ($50) looked cheap, and didn’t seam to have a good airtight seal. Nor did I believe that they would be able to handle some larger items in the trail mix. These Clik-Clak containers provide a nice airtight seal, but still have a quickly removable lid. To test out my idea about how the plywood stand would work, I first made a cardboard template, used it to adjust the dimensions, and then as a template for the plywood. 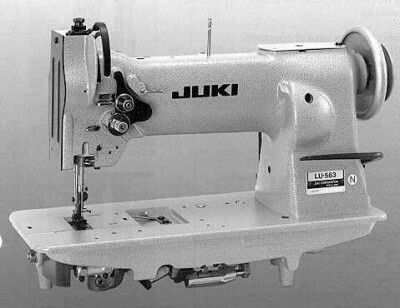 This is a work in progress of converting a Juki LU-563 Sewing machine head to run off a cordless drill motor. I don’t have space for a dedicated table, so I wanted the sewing machine to be portable, even if it does weigh 90+ lbs. Every time I use a sewing machine, it’s for some really thick or tough material that requires a lot of punching power, and is easier to sew at a slow speed. Most machines run a little too fast for my purposes, and don’t develop enough power at slow speeds. They rely on speed by building up inertia in the flywheel to provide the necessary power to sew through thicker fabric. In order to lower the speed and increase the power, the motor needs to be geared down. Since most old sewing machines use a belt, this is not difficult to do using a double pulley system. My sewing machine is a 1950s Nechi BU with zigzag stitch. This is my first attempt at making a leather case for the iPad. It’s also the first time I’ve worked with leather, so it’s kind of rough and unfinished, but that’s how I like it. Thanks to John Sanders from www.joxasa.com for helping me pick out the leather and excellent design advice.